When you’re in the market for LED emergency lights, there are a lot of questions you need to answer when you’re shopping around and there are even more concerns you might have before purchasing. What types of vehicles you’ll be outfitting and especially what types of scenes they will be responding to are valid concerns, along with the environment and conditions to which the vehicles and thus the lighting will be routinely subjected. Making sure you find a seller that is reputable, sells quality equipment, and stands behind it is the sure fire way to take the process of equipping your fleet with emergency lighting from being an annoyance to an afterthought. Here’s where Ultra Bright Lightz enters the picture. Conceived in response to a market where the norm was a series of lengthy, expensive, and time-consuming custom jobs, Ultra Bright Lightz is a breath of fresh air for those who want to skip the measuring and programming with their LED emergency lights. Ultra Bright Lightz comes to the table as a purveyor of premium LED emergency lights of all uses and sizes. 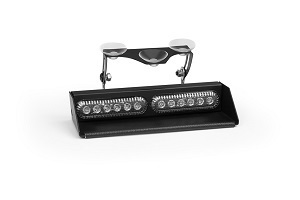 Whether you run sedans, trucks, or vans, Ultra Bright Lightz carries panel lights, dash and deck lights, grill lights, compact and full-size bar lights and more to keep you lit and signaling your presence even in the most pressing of situations. Simply looking to renew the grill lights on some of your response vehicles? Ultra Bright Lightz is ready with something as simple as the surface mounted UBL U-Lite, the ultimate in no-frills all-business grill lights. It comes ready with 18 flash patterns in amber, blue, white, red, green, and combinations. It is night weatherproof, built to be slapped into a grill and start flashing without asking any questions. Then again, you might be looking for something like the Feniex Fusion in dual color, also ultra durable and almost weatherproof, but with up to 40 flash patterns, programmability, and flood modes. Maybe you’re looking for stick lights with the versatility to be mounted on the front, rear, or even side of the vehicle. You can go as basic as the 6 LED Feniex Fusion stick light all the way through to the 48 LED Feniex Fusion Rocker Panel Stick lights with 57 ready patterns incorporating 8 colors. Ultra Bright Lightz even builds custom full-size bar lights for your vehicles, offering you visibility that cannot be rivaled by other lighting units. Ultra Bright Lightz stands alone in offering extremely rugged lighting that is not only affordable but reliable and easy to install, requiring no wiring and minimal programming unless the user wishes to customize. They also offer $9.99 flat rate shipping, 2- to 5-year warranties on most units, and a 30-day return policy. At Ultra Bright Lightz, they stand behind their stock because they understand the importance of effective emergency lighting. To see what’s waiting for your next lighting refresh, head to UltraBrightLightz.com, today! With all kinds of LED vehicle warning lights for emergency and personal vehicles, you are sure to find something you need. Operating a fleet of emergency vehicles comes with unique imperatives all their own that leave no room for the annoyance of sourcing and installing emergency lighting. Nonetheless, communication is imperative at the site of an emergency and signaling presence is a matter of safety as well as efficiency. Lucky for you, there is a seller who understands all of this and specializes in purveying flashing police lights along with all manners of emergency vehicle lighting that is affordable, easy to install, and easy to program and deploy. Formed as an antithesis to the prevailing high expense of outfitting emergency vehicles and the difficulty of programming and deployment, especially amongst more than one vehicle, Ultra Bright Lightz is your answer to the question of sourcing high quality, reliable LED emergency lighting. When you’re in the market for flashing police lights, Ultra Bright Lightz has grill lights, dash lights, panel lights, visor lights, and light bars in compact and full size, some of which can be custom outfitted to your vehicles. Featuring grill lights from UBL and Feniex, Ultra Bright Lightz has single and dual color mounts with up to 40 ready programmed flash patterns in amber, blue, red, and white to give you less to worry about. In the realm of dash lights, also from UBL and Feniex are multiple configurations in single and dual color, some of which may be suction mounted to the windshield with a flashguard to minimize glare at night. The beauty of their grill and dash lights is largely the fact that they come ready programmed and can be surface or suction mounted and plugged into an adapter or charger to be ready to go with minimal installation servicing and no lengthy procedures for deployment. If you’re looking for full-size bar lights, Ultra Bright Lightz offers multiple full-size configurations up to 62 inches that are custom built to the specifications of your vehicles. These come programmed with up to 48 flash patterns ready to go in red, blue, white, and amber, and are ready to go once installed. Ultra Bright Lightz doesn’t just sell these wares at affordable rates, they stand behind their products. 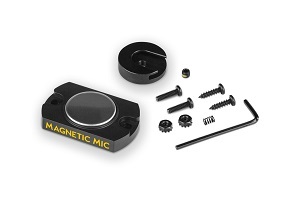 There is a 30-day return policy on their orders and most units are backed up by a 2- to 5-year warranty. Their equipment is durable and designed to stand up boldly to the rigors of life on an emergency vehicle, and they are prepared to stand behind their wares as tough and weather resistant. Moreover, they offer bulk discounts and $9.99 flat rate shipping so that you can get what you need for your fleet at the right prices and ensure efficiency. Designed to weather the tasks of life on the job and continue to deliver, Ultra Bright Lightz has the flashing police lights you need to upgrade your fleet or simply to make repairs. 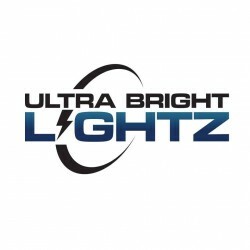 When it’s time to get some brighter equipment, head to UltraBrightLightz.com, today! Emergency vehicles, construction vehicles, and service vehicles alike have started to use LED light bars. There are many benefits to using LED lighting on vehicles that see so much regular work and need to be noticed constantly to alert other drivers and pedestrians. Today, we will look at some of those benefits and why you should choose LED lights for your vehicles. The Brighter, The Better - While it doesn’t take much to see the flashing lights of a police car or fire truck, you want bright lights that can be seen from a distance to give people as much time as possible to be on alert. These vehicles rely on the bright lights and powerful sirens to provide that warning call. LED lighting provides much more illumination and means you get a brighter display. Energy Efficient - LED lights produce a much lower current than halogen or incandescent lighting, meaning that the vehicle’s battery has to work so much less to power the lighting. The current draw can produce up to 90 percent greater energy efficiency over the previous options for lighting, saving a lot of energy in the process. More Durable - LED lights have no moving parts and a different internal structure than traditional bulbs, which mean that they can withstand a heavy workload without having to deal with wear and tear. There is no heating element like traditional lights, which means they can power up quickly and are left hot from use. There are also no broken bulbs or replacing bulbs and a much longer lifetime for lights that are sure to see a lot of use. LED light bars can have various flashing patterns and come in a variety of colors to be able to fit the needs of any vehicle. Emergency, construction, and service vehicles use different colors to signal what is happening on a roadside. It may be a road work zone or utility service may be in progress, so drivers simply need to stay alert. Flashing yellow lights can provide this signal. Of course, flashing red and blue lights from a police car or ambulance signal to clear the road so vehicles can get to safety, assistance, or to the scene of an incident. These lights do more than just alert to a situation, they define it. Now that you know why LED lights have so many benefits, where can you go to get them? Look no further than Ultra Bright Lightz. At Ultra Bright Lightz, there is a wide selection of LED light bars, dash lighting, visor lighting and so much more to stock any vehicle. Ultra Bright Lightz has been in business for over 10 years providing lighting solutions for service vehicles and recreational vehicles as well. With a great team providing exceptional customer service and carrying high quality LED lighting that is the brightest and most affordable, all delivered fast so you can get what you need in a pinch, Ultra Bright Lightz wants to make the experience of buying lighting as easy as possible. Contact them at 1-888-562-5125 or send an email to info@ultrabrightlightz.com with any questions or if any assistance is needed to find the right lighting for your vehicle. Ultra Bright Lightz is here to keep everyone safe on the road and well seen for all different types of activities. From lights designed for off-roading and adventure to special lights designed for emergency vehicles and first responders, we want to make sure that you are seen and safe on the road in the dark and that those driving in potentially dangerous situations stay safe. Ultra Bright Lightz wants you to know that we create different LED lights for all situations on different types of vehicles. One of the best ways to protect first responders in an emergency situation is with our police lights for sale. We want to make sure that we have the brightest and most reliable lighting in the first responder LED lighting industry while selling them at a reasonable price. For a flat rate shipping of $9.99, we sell all different types of lights such as amber LED warning lights, blue lights, red lights, green warning lights, emergency warning lights, fire truck lights, and ambulance warning rates. Our UBL Ilumex 2X light, for example, is small and easy to mount. Place this on your windshield with our easy to mount suction cups and just plug it in using the cigarette lighter attachment. This light is also designed to sit on differently shaped windshields and can be angled in different positions. This is one of the safest ways to make sure that first responders are seen on the road during an emergency response. The UBL Ilumex 2X light also comes in many different colors such as amber, white, blue, and red, and a mix of all of those colors for any color changing needs. This light has 19 flash patterns and 8 LEDs that shine at 3-WATTS; perfect for first responders because of how bright and safe it is. Order today for only $199.99, and it will ship in one business day so you can start lighting up the night safely. 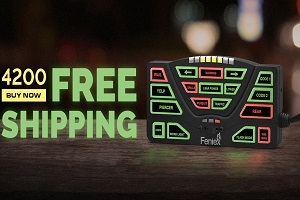 One of our most reliable and brightest lights is the Feniex Fusion 2X Single Color Dash Light. Easily mounted to the windshield, this light is perfect for any vehicle. This light is fully customizable for color options and a choice between 40 degree and 180-degree optics. 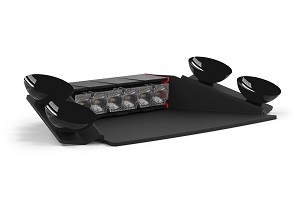 Chose from amber, green, white, blue, and red to curate the perfect dash police lights for your police vehicle and always be seen no matter where you are. No matter your price range, Ultra Bright Lightz has a light that is perfect for your vehicle. Emergency responders have a difficult job, and it is important that they are seen. Any of our Feniex lights are perfect for first responders who take action in emergency situations. Our lights are designed to be brighter and safer for first responders. Our mix and match modules let you create the perfect light and module combination to be seen on the road. First responders should be seen on the road at all times, and Ultra Bright Lightz is here to make sure that you are safe and effective on the road. If you are in the market for police lights, order online with us today and get a head start on safety. When you’re responsible for a team of emergency responders and their vehicles, the last thing you want to worry about is the pain of installing emergency lighting, or worse yet, that the lighting itself is unreliable. That’s why it’s critically important to rely on quality lighting that is not only easy to install and set up for use, but is also that tough, bright, and dependable enough to announce your presence in an emergency situation where time is of the essence and communication is the difference between success and disaster. The good news is that Ultra Bright Lightz is your solution to all of these issues and more. You’ll be sure to find the right LED light bar for trucks and everything else you need to outfit an emergency vehicle with lighting, all at prices you’ll need to see to believe. Searching for bright LED light bars for trucks can be daunting, especially if you don’t have the time to waste installing and programming patterns into your devices in order to get them to work effectively on the road. Luckily, at Ultra Bright Lightz, there are a whole range of bar light options for you to choose from when trying to outfit a fleet, which may require flexibility in ordering for different models of vehicles. If you’re looking for interior light bars, Ultra Bright Lightz carries an impressive stock of light bars in single and dual color options that can easily install in the front or back windshield and are compatible with a series of brackets and suction cup mounts for easy installation and optimum angle. From the simplest of bar lights with 4 to 40 LED configurations that herald your presence with red, white, blue, green, and amber lighting and coming with already programmed flash patterns, Ultra Bright Lightz has what you need to outfit your vehicles. They also offer rocker panel stick lights from Feniex that illuminate the sides of your vehicles for optimum visibility. 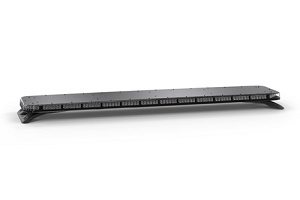 Ultra Bright Lightz also offers full sized LED light bars in single and dual color configurations. Custom built to your specifications, these models allow 360 degrees of unobstructed lighting for maximum visibility, are data link compatible, and can accommodate your desire of amber, blue, red, white and green lighting. They offer three programmable modes for your convenience, can be dimmed to meet the scenario and reduce glare, allow you to cut off the front and rear lights, and can accommodate work lights to help with location and identification. When you choose Ultra Bright Lightz for an LED light bar for trucks, you will be getting some of the most rugged lighting and mounts in the industry at impossible prices. Ultra Bright Lightz also offers $9.99 flat rate shipping, a 30 day return policy, warranties in 2 to 5 years for most products, and bulk pricing. It hardly gets better than that because Ultra Bright Lightz stands behind the quality of their lighting. When you’re in the market for new lighting or simply a fleet upgrade, call 1-888-562-5125 or go to UltraBrightLightz.com. Running a fleet of emergency response vehicles is a grueling operation. The vehicles are under constant assault from an unforgiving environment and expected to deliver without fail under the most pressing of situations. It is imperative that the components of the vehicles, from engine to emergency lights, do their job so you can do yours. That’s why it’s just as important for you to source quality equipment when you’re servicing and outfitting your fleet for the job. One of the first things that signals your presence as a responder is your vehicle’s lighting. You rely on your lighting to make your presence known before you even get to the scene. At Ultra Bright Lightz, you will find the emergency vehicle lighting you need, from dash lights to grill lights to truck LED light bars, all at reasonable prices and ready to stand up to the most demanding of environments. When you need a truck LED light bar for your emergency vehicles, whether for one vehicle or twenty, Ultra Bright Lightz has a wide selection of options for outfitting your fleet, all at excellent prices, for rugged gear, that is easy to mount and deploy. For easy to mount bar lights that can be used internally or externally, in front or back windshields or even alongside of a vehicle for added visibility, Ultra Bright Lightz sells bar lights from UBL and Feniex in 4 to 40 light configurations with single and dual color options. At its most basic, there is the option of the 4 LED Feniex Fusion 100, with 40 to 180 degree light spread for maximum visibility, programmed with 11 ready flash patterns in 5 options of color, capable of mounting to suction cups or several options of brackets, hinged and fixed. On the upper end is the UBL Ilumex 1000 with 40 LEDs and 19 set flash patterns. 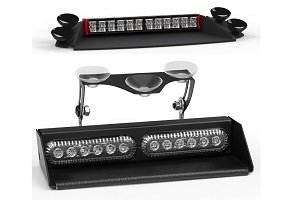 Both of these models are slimmer and intended to be mounted to a windshield, so for greater presence Ultra Bright Lightz also offers mini and full size light bars. 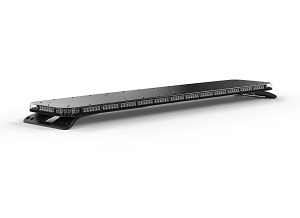 In the way of a full size truck LED light bar, Ultra Bright Lightz offers several full size exterior light bars in single and dual color configurations in 49 or 60 inch sizes. Their full size light bars are custom built to order for your vehicles and 16 to 48 flash patterns, dependent on whether or not you use single or dual color. Moreover, their equipment is durable and warrantied for 5 years. Ultra Bright Lightz was conceived as a purveyor of quality emergency vehicle lighting that was affordable and reliable – exactly what you need your equipment to be. Their lighting is priced right, easy to install and deploy, and tough as nails. Ultra Bright Lightz also offers $9.99 flat rate shipping, 30 day returns on most orders, warranties ranging from 2 to 5 years, and bulk discounts. It doesn’t get much better than that. When you’re looking to upgrade the fleet, call 1-888-562-5125 or go to UltraBrightLightz.com to get started. Ultra Bright Lightz wants to make sure that first responders are safe during emergencies. Being seen during an emergency is important, and we are here to deliver the best value for an affordable price in all of the emergency vehicle lighting equipment we sell. Your safety and satisfaction is our priority. The LED emergency vehicle lights that we sell are some of the brightest vehicle warning lights on the market, and we are also quickly becoming the number one supplier of emergency vehicle lights for first responders in America. All of our products are built to high standards, and we offer a warranty to ensure your satisfaction with our products. Our top categories of emergency vehicle lights are dash lights, visor lights, stick lights, and grill lights. Dash lights, also known as deck lights, are some of the best LED lights with top brands such as Feniex and UBL (Ultra Bright Lightz). These lights are designed to sit at the front of your vehicle to warn those around you that they need to move out of your way so that you can get to your emergency destination faster and safer. They are available in a variety of colors for you to choose from to meet your needs. Our LED emergency warning lights are known to last a lot longer than a traditional bulb to offer you brighter and more reliable lighting. Whether you are driving an emergency vehicle or your own POV, our warning light bars are designed to fit a variety of vehicles. Our selection of visor lights is perfect for all kinds of vehicles. Whether you need lights for small sedans, police car lights, fire truck lights, ambulance lights, plow lights, or other utility lights, these lights are perfect for those who want a clean look and fit right onto your windshield or sun visor using suction cups with non-drill brackets. The interior visor bar lights can be easily installed and mounted quickly. Our selection ranges from the simple UBL U-Lite Visor Bar Mini for only $169.99 to a Feniex Fusion Rear Interior Light Bar Dual Color for $699.99. No matter how big or small, these lights are bright, long lasting, and will aid in visibility. One of the most versatile lights we have, the bar and stick lights come in many different colors and can be used mostly anywhere on your vehicle. Some are made to be mounted either on the interior or exterior of your vehicle. The smaller lights, such as a Feniex Fusion 100 Stick Light Single or Dual Color, are the perfect lights for your vehicle and can be placed in any window, while our larger and longer stick lights are perfect for rear windows. Most of our stock are even waterproof and are great for mounting on top of your vehicle; the options are endless. To see these high quality products and more, visit us online at UltraBrightLightz.com. With thousands of items in stock and only $9.99 for flat rate shipping, Ultra Bright Lightz is on track to become the top supplier of high quality and affordably priced LED lights for all your vehicle lighting needs. Our LED light bars for trucks come in many different sizes and colors to help make your vehicle and the road visible during any time of day. Our different size lighting allows you to outfit your truck any way you’d like, whether it is the back window, side window, or even the roof. With such a wide supply or LED products ranging in prices, you can stay within your budget while still lighting up your truck. Our UBL Ilumex 400 Stick Light offers so much in a small, compact design. Perfect for mounting anywhere like a grill or side window of your truck, this bar light comes with a backlit controller, is water resistant, and has a cigarette plug. You can choose from four different colors with 19 different flash patterns. The slide-bolt channel on the back of the light means it can be mounted with the brackets anywhere you want. 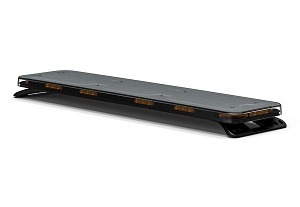 Order the UBL Ilumex 400 Stick Light for only $149.99 and light up your truck. If you prefer something smaller, Feniex has small options to choose from: Feniex Fusion 100 Stick Light Single Color, Feniex Fusion 100 Stick Light Dual Color, Feniex Fusion 200 Stick Light Single Color, Feniex Fusion 200 Stick Light Dual Color. With a variety of colors to choose from, these lights can be mounted to the interior or exterior of your vehicle and feature 180- or 40-degree optics. If you are looking for full-size LED light bars for trucks, we have four Feniex Fusion options to choose from: 49” GPL Exterior Light Bar Single Color, 49” GPL Exterior Light Bar Dual Color, 60” Exterior Light Bar Single Color, and 60” Exterior Light Bar Dual Color. These lights can be easily mounted to the top of your truck, offer 360-degrees of unobstructed lighting, 48 flash patterns for dual color, 16 flash patterns for single color, and have a modern slim design. These products, however, are custom-built to your specifications and cannot be returned. In addition to all of our lighting, we also have strobes, controllers, sirens, traffic advisors, flashers and more. The controllers make it easier for you to power your lighting and sirens on and off without having to go out of your way to reach for anything. For those trucks that will be working on the side of the road, we offer single and dual color traffic advisor arrows to alert of road users to move away for safety. If you really want to deck your truck in all of the best bright LED lighting Ultra Bright Lightz has to offer, we have license plate lights, mirror mounts, spoiler mounts and more. Visit our website and browse our products at UltraBrightLightz.com to get the best high intensity LED lighting around or contact us at 1-888-562-5125. When you’re outfitting a fleet or simply need back up dash lights that can be deployed quickly and easily without unnecessary wiring, you know that you can’t go with budget options that will skip, short, and simply not deliver the glare that you need to display your official purpose. The greatest aspect of the dash lights employed by emergency vehicles is to communicate with other drivers on the road. To do this, they must be reliable, quick to deploy, and overall, show-stopping-bright. Ultra Bright Lightz specializing in providing superior quality emergency LED lighting that is straightforward and compatible in nearly all circumstances. What’s even better is that they’re emergency lighting is affordable, and above all else, bright and highly visible. At Ultra Bright Lightz, you will find dash lights for nearly any emergency situation that can be installed without any extra wiring, either to the vehicle or internally. This means that the pieces effectively plug into the vehicle and are already programmed internally with a variety of colors and patterns so you can set up and be on the road in minutes. For some of their models, installation is quite literally as simple as plugging an adapter into the cigarette lighter port, sticking the suction cups on the window, selecting flash pattern and color, and hitting the gas. There are even flash guards on some models to prevent glare from the windshield so that your lights shine everywhere except into your eyes. Whether you need something as simple as a single color unit with twelve diodes or a dual color unit with multiple settings and customizations, you will be sure to find it at UItra Bright Lightz. All of this comes at a low price and the quality of their equipment is guaranteed not only to be rugged but also to deliver the brightest results on the market. When you’re shopping for new or reserve dash lights, you no doubt expect bright lights that will continue to serve reliably and for the long haul. It would be nice if they were more affordable than a custom job requiring special installation, as well. That’s why Ultra Bright Lightz is here to help. Not only is the equipment at Ultra Bright Lightz durable, but it is also guaranteed, in many cases, for two years. As if this weren’t enough, they have a 30-day return policy, a $9.99 flat rate shipping policy, and bulk pricing options. This all comes as a bonus and compliment their already impossibly low prices. And if affordability, ease of installation, and ease of deployment weren’t enough, the fact that their units require no additional wiring or installation means that their lights are compatible with nearly any model they can be plugged into. It also means service and replacement is simplified. When it’s time to switch the lights, add more lighting, or upgrade the configuration, it’s a simple job. Check out UltraBrightLightz.com to see what they can do to change your emergency lighting game, today! One of the most important things for emergency personnel to outfit their vehicles with is lighting. Bright lights on emergency vehicles are used for safety, to let people know that there is an emergency and to move safely out of the way, to warn people of an accident or a stopped or pulled over vehicle, and to light the way in dark places, just to name a few. One of the most common types of lighting for emergency vehicles are LED dash lights. For high quality, super bright emergency lighting, Ultra Bright Lightz is the best place to look. Having been in the business of providing emergency vehicles with bright and effective LED lighting for over ten years, Ultra Bright Lightz is a leader in the industry with the best variety of options at affordable prices. Ultra Bright Lightz has both single and dual color dash lights available on their website. All of the dash lights (or deck lights) come with suction cups that provide an easy and quick way to mount to your windshield. The LED dash lights also come with a flashback guard to prevent flashback while driving at night. When browsing through the options available on the Ultra Bright Lightz website, you’ll find that, under the ‘Dash/Deck Lights’ category, Ultra Bright Lightz has options from both Feniex and UBL. All of the Feniex deck/dash lights offer 40 degree or 180 degree optics. The 40-degree optic provides a narrower spread and allows for the emergency vehicle to be seen at a distance. The 180-degree optic provides a wider spread and allows for the vehicle to be seen up close and bright. The UBL dash light, however, features a 40-degree optic. As their first new product line in over 3 years, UBL created the U-Lite for a high intensity, entry-level light at an extremely affordable price. All of the dash lights come with an easy to use, two-button cigarette plug for a simple plug-and-play installation, no hardwiring required. Aside from their dash lights, Ultra Bright Lightz also has visor lights, mini and full-size LED light bars, strobe lights, controllers, sirens and more. With the enormous inventory of warning lights, customers are able to find the exact light they need for their vehicle. Customizations are also available when choosing which colors to use for your lights. From red, blue, amber, white and more, each vehicle can be equipped with the exact colors needed and suited for their job. Ultra Bright Lightz carries so many options for lights that you can get your vehicle outfitted with lights in every nook and cranny. Need license plate lights? Ultra Bright Lightz has them. Mirror mounts? Spoiler mounts? Ultra Bright Lightz has everything you need and more for both exterior and interior lighting of your vehicle. They also have LED light options available with different flash patterns. However, it is important to read product descriptions and information to ensure that each product you buy will work with your make and model vehicle. 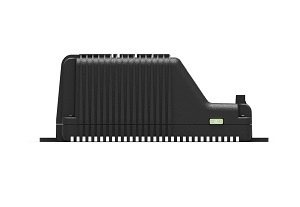 For more information about Ultra Bright Lightz and the products they carry, visit them online at Ultrabrightlightz.com. You can also give them a call at 1-888-562-5125 or send them an email at info@ultrabrightlightz.com. With extensive knowledge of LED lights and the products they carry, and a passion for equipping emergency vehicles with bright, effective, and reliable LED lights, Ultra Bright Lightz is the best place to shop for the lighting you need. Their customer service representatives are always ready and willing to help you with anything you might need. Reach out to them, today!